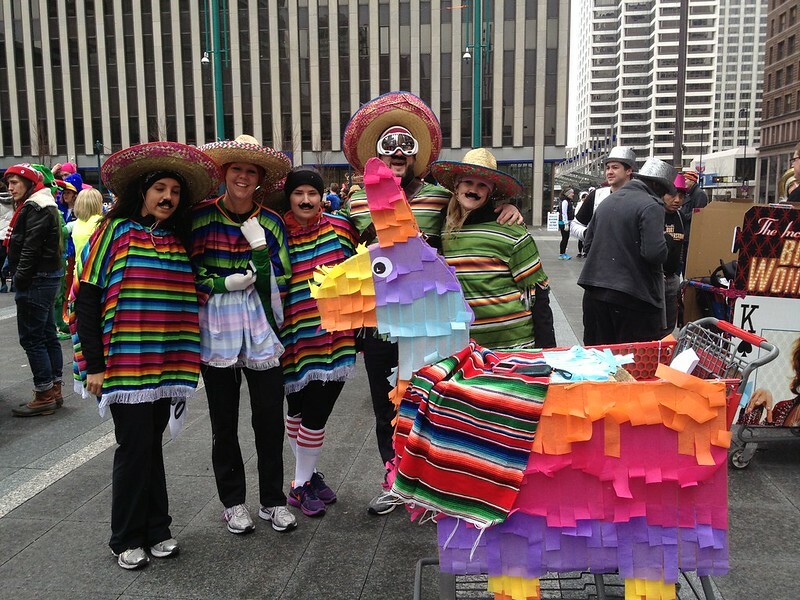 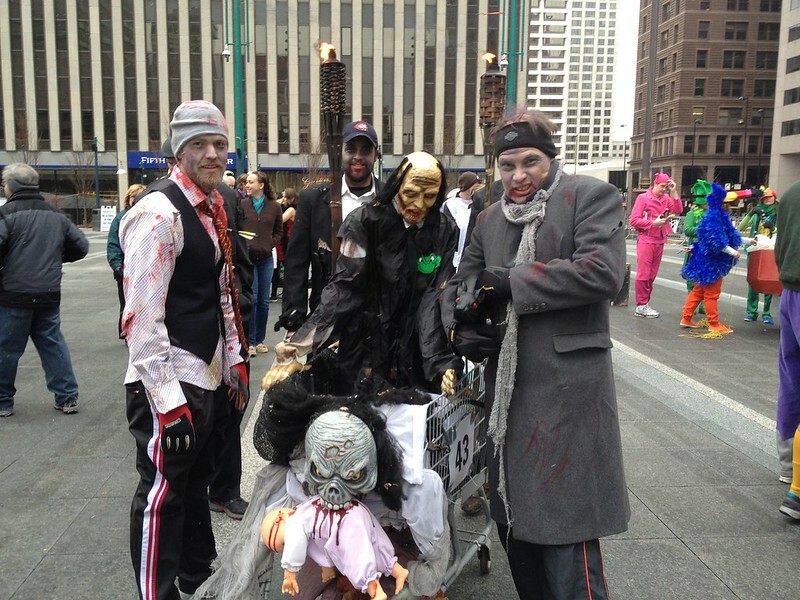 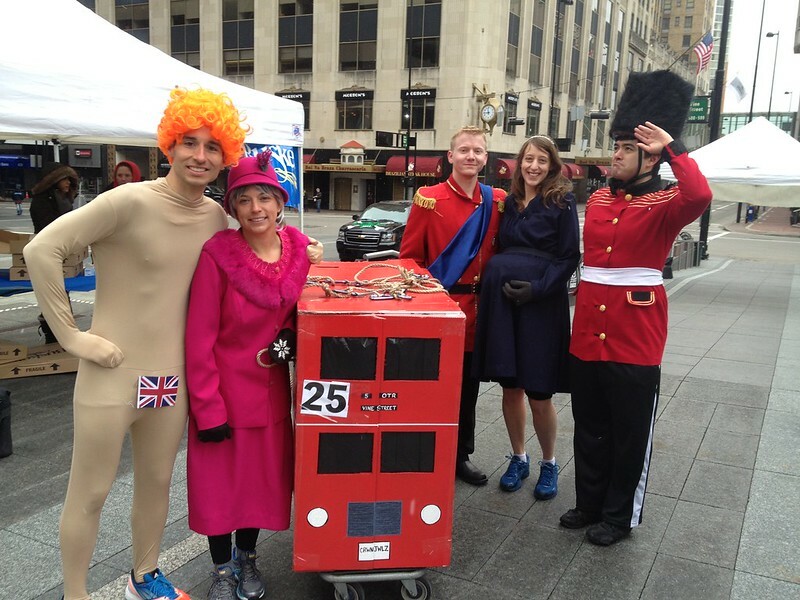 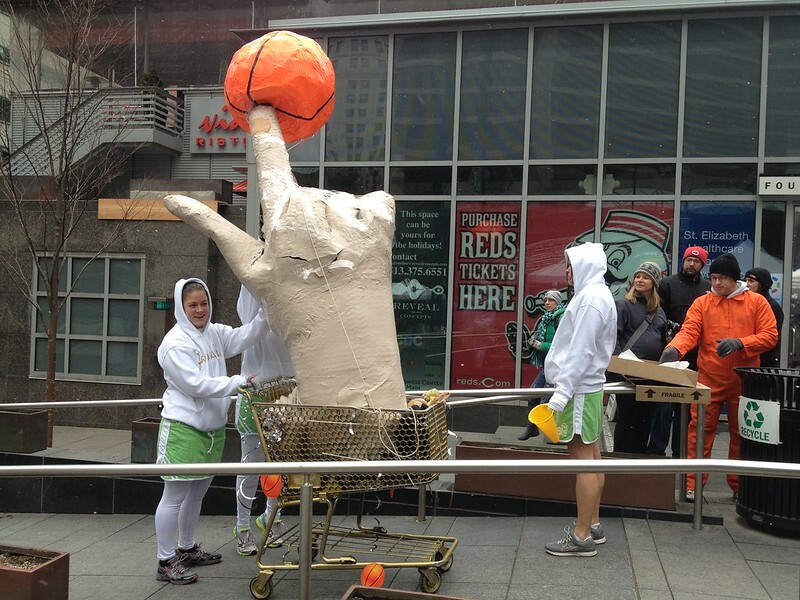 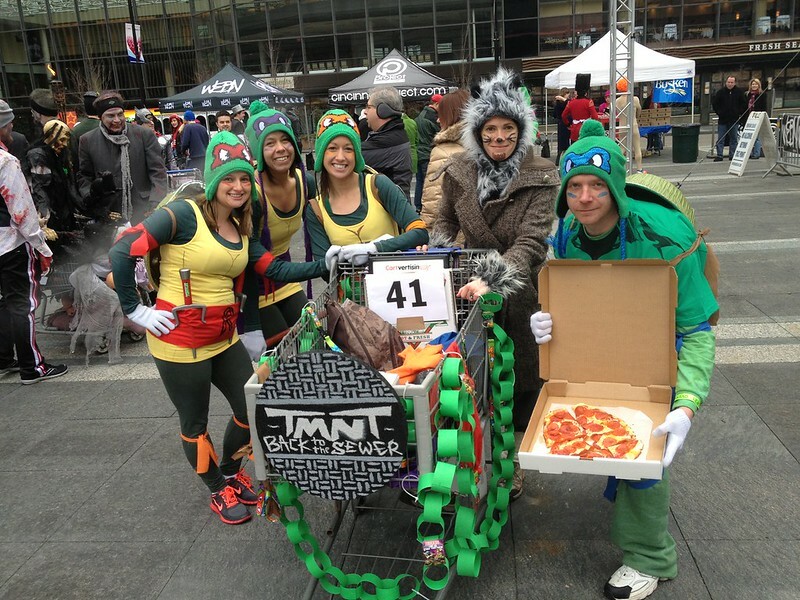 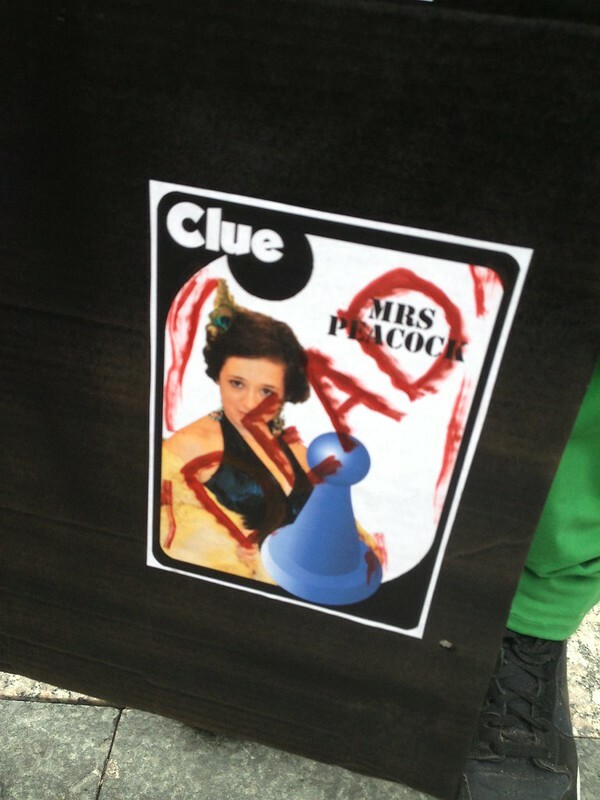 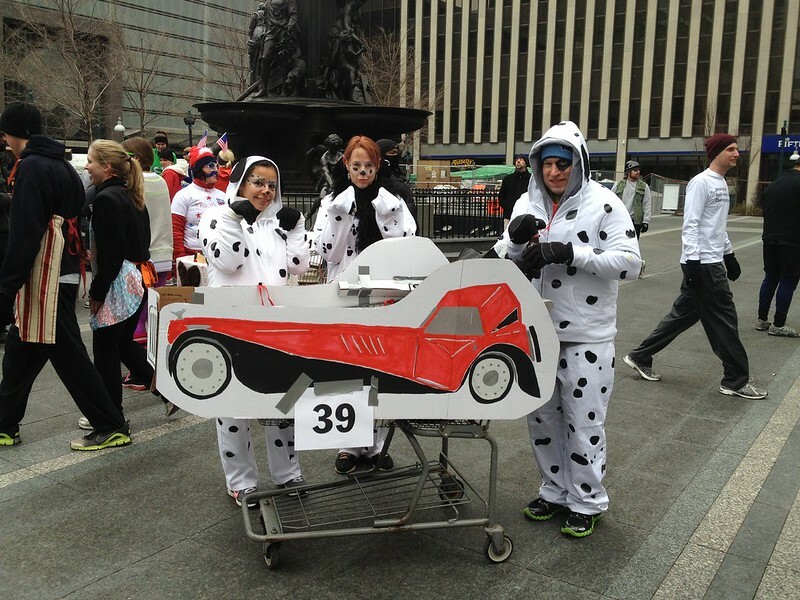 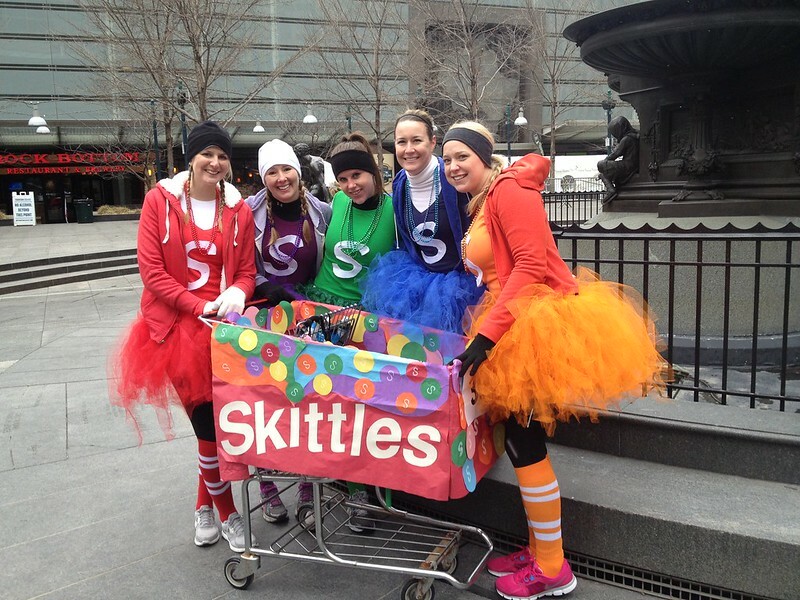 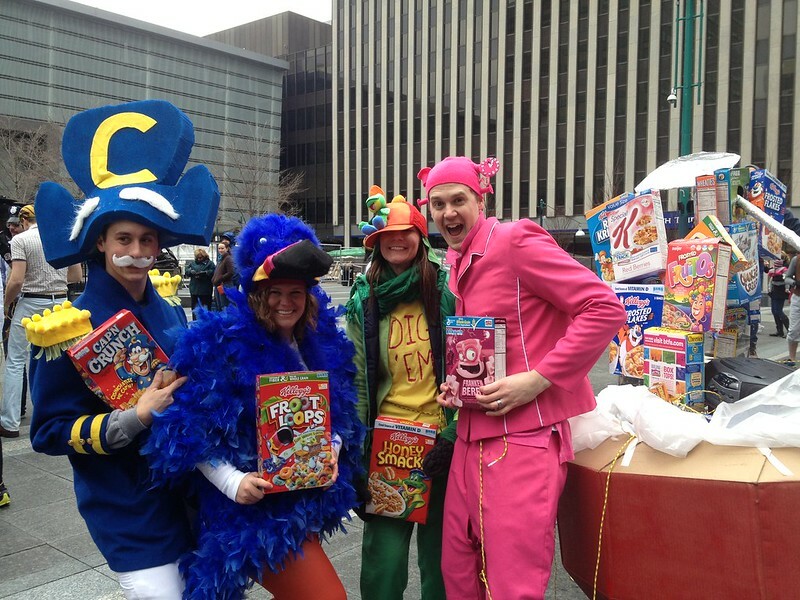 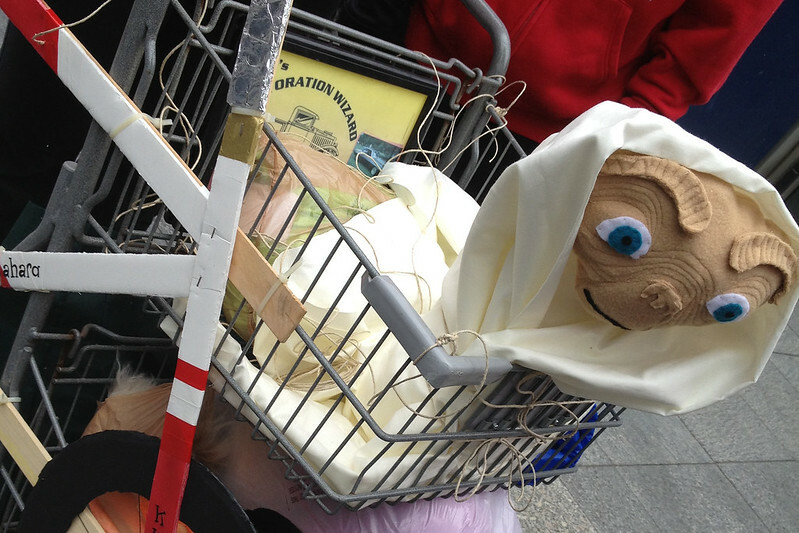 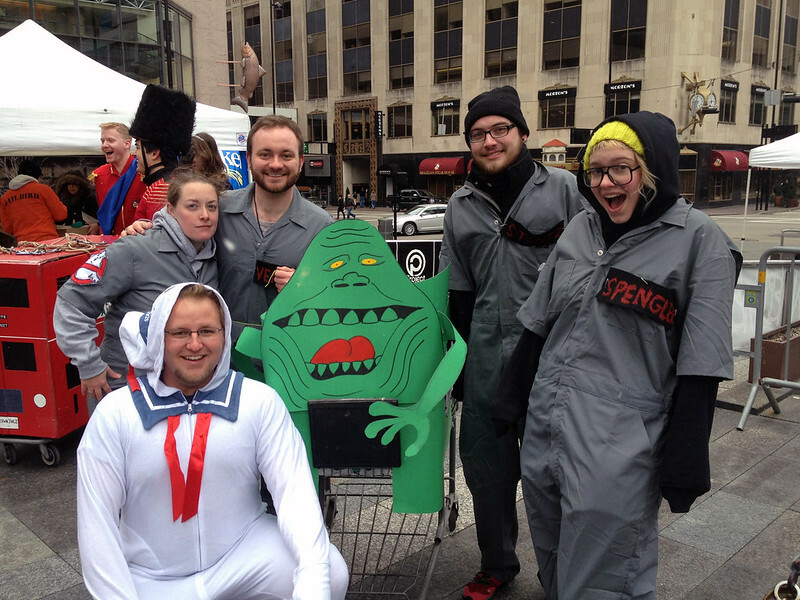 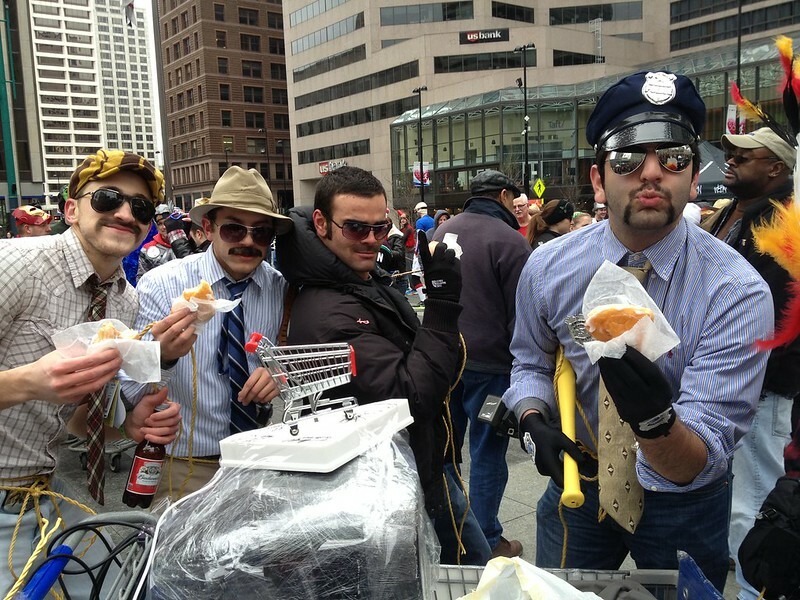 Cinciditarod is an annual scavenger hunt that benefits the Freestore Foodbank. 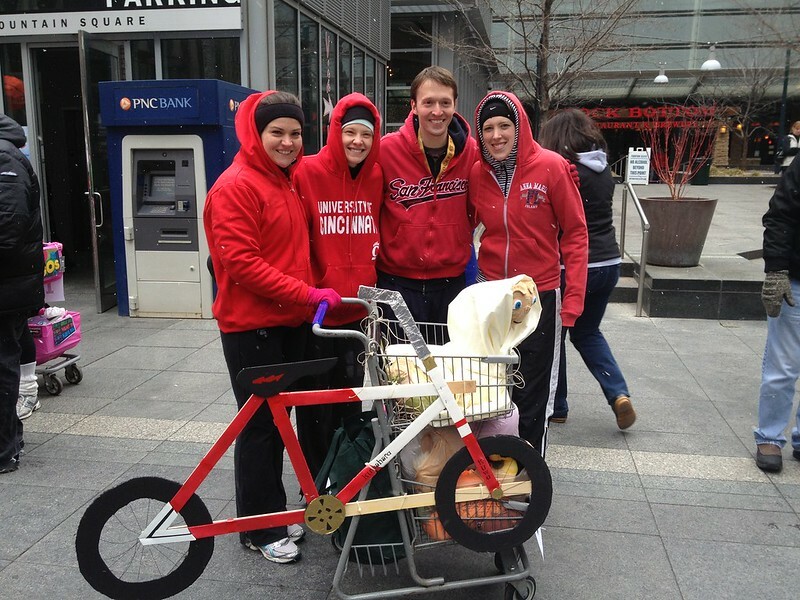 Held the first weekend in March during Bockfest, teams consist of five people pulling a (legally acquired) shopping cart. 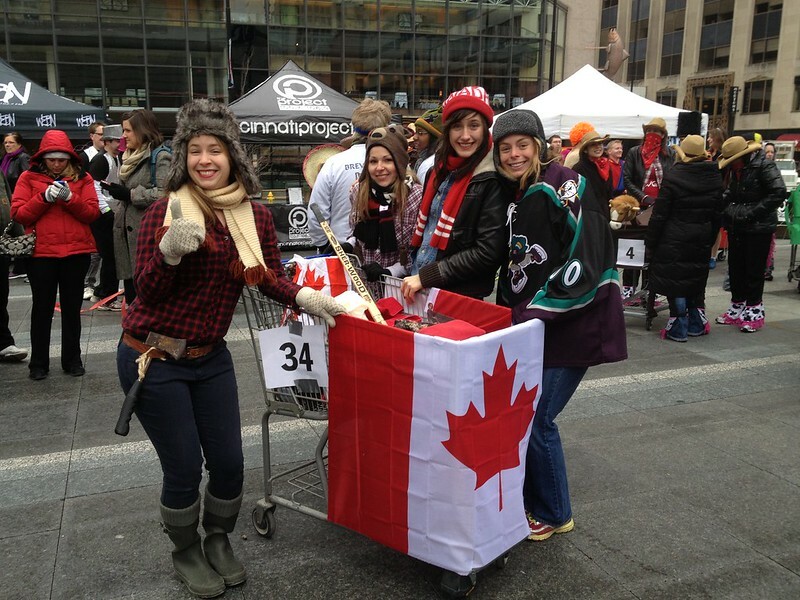 It's a reverse dog sled race, and the players must stay tethered to the cart at all times. 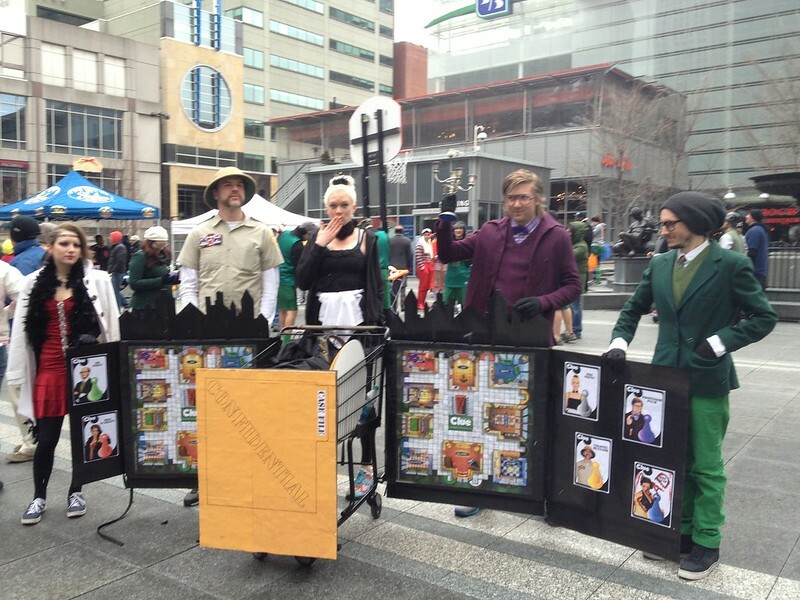 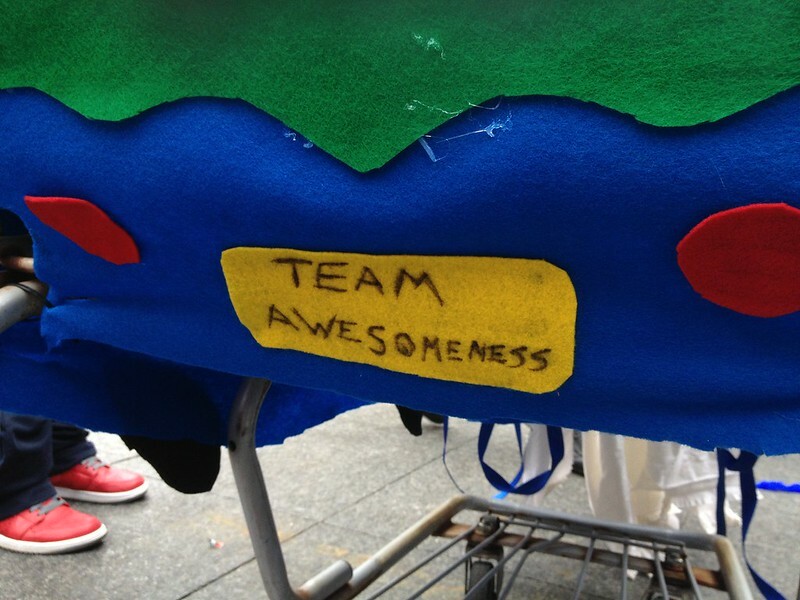 Teams wear themed costumes as they perform tasks along the mapped route, all while competing for awards in fastest time and creativity. 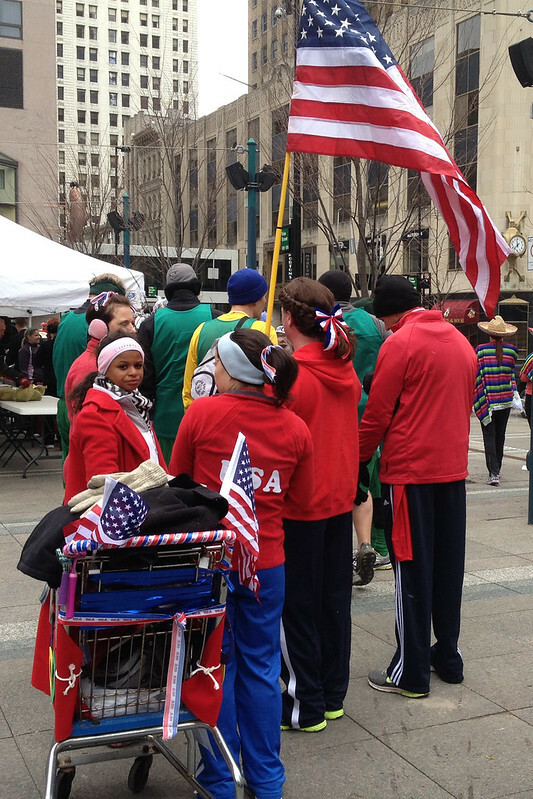 Panorama of Cinciditarod on Fountain Square. 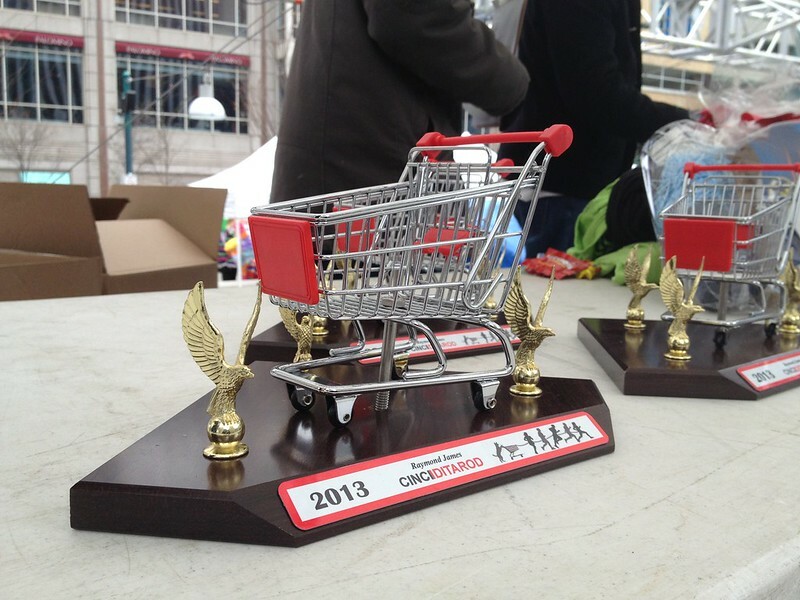 The coveted golden cart award.